Outlined in the journal Smart Materials and Structures, and by MIT News, the approach involves building one wing surface out of a series of injection-moulded structures made of polyethylene resin, which are coated with a layer of polymer material. This creates a lightweight and flexible structure that could be morphed and changed in flight. By tweaking the flexibility of specific structures in specific locations, researchers could dial in the wing’s response to airflow conditions so it automatically would transform into an ideal aerodynamic shape for the various stages of flight, such as takeoff and cruising. Researchers tested a hand-constructed model in NASA’s Langley Research Center wind tunnel. Eventually, they hope, robots could take on the construction dirty work. 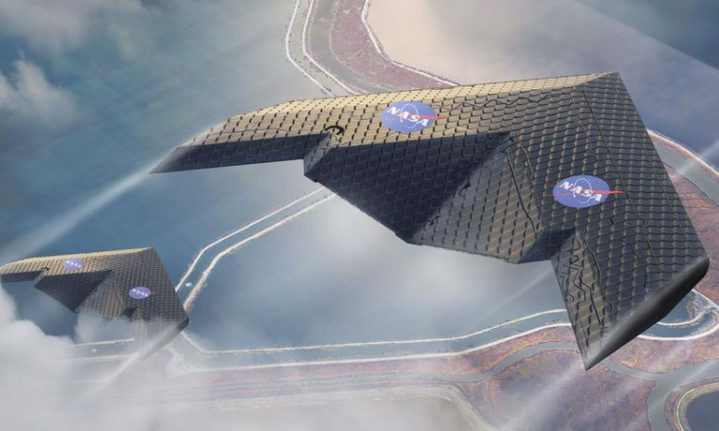 And given that the design is modular and the structural subunits are cheap to produce, the approach could also make it much easier to prototype unusual but perhaps more aerodynamically efficient wing designs. In the meantime, flexible materials are coming to more traditional wing designs as well, with so-called “flexfoil” wings that replace formerly rigid flaps and ailerons with a jointless structure that can help improve reliability and lifespan by distributing the stress across the entire component equally.